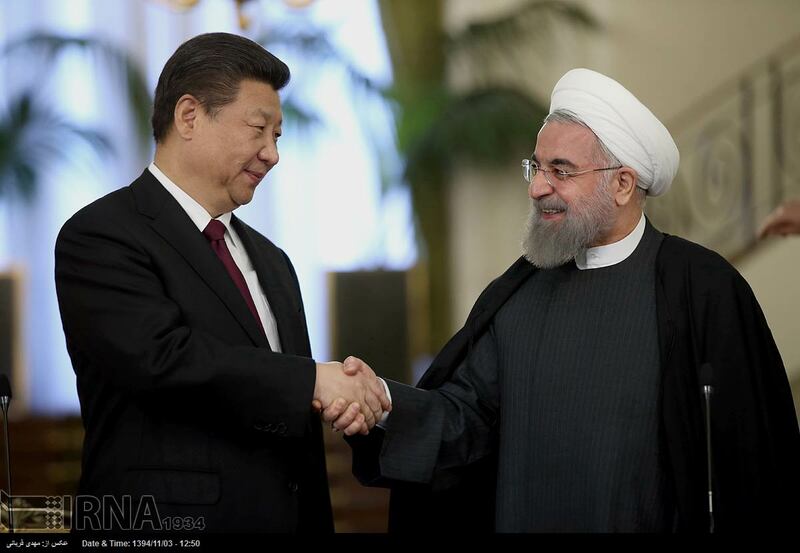 THE STATE DEPARTMENT-Chinese President Xi Jinping and Iranian President Hassan Rouhani called for a “new chapter” in China-Iran relations, as the Chinese leader continued an official state visit to Tehran. Meeting at the president’s residence in Tehran Saturday, the two leaders oversaw the signing of 17 agreements aimed at expanding diplomatic and economic cooperation. The two countries also agreed to boost mutual trade. Chinese President Xi Jinping (left) shakes hands with Iranian President Hassan Rouhani, as they pose for a photograph in an official ceremony, at the Saadabad Palace in Tehran, Iran, Jan. 23, 2016. "Today, we discussed strategic relations between the two countries, regulating and signing a comprehensive 25-year document and also upgrading bilateral ties in the coming 10 years. We decided to increase mutual trade up to $600 billion,” Rouhani said. Xi, who is making the first trip to Iran by a Chinese president in 14 years, said the two sides agreed to form a comprehensive strategic partnership. "We decided to turn mutual relations into relations that would turn into strategic relations, and also issues that joined us. A statement on both sides should also take this opportunity in order to further upgrade mutual exchanges at different levels and further boost the political trust between the two countries,” Xi said. 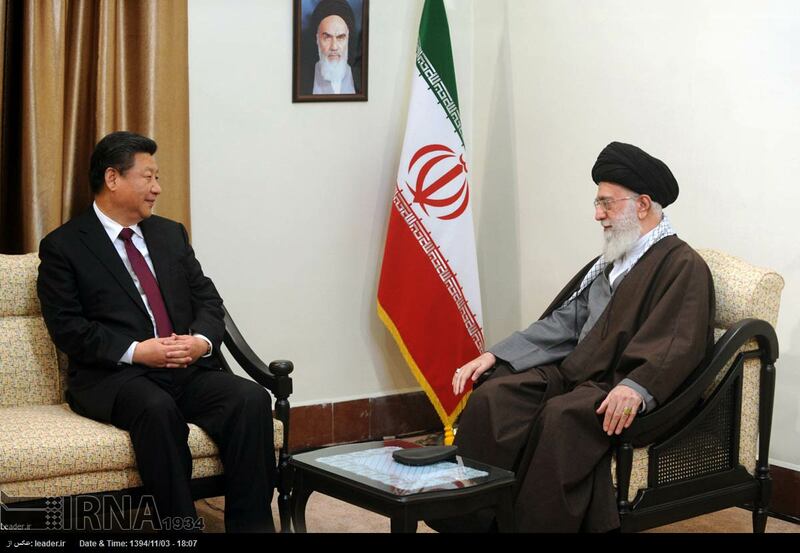 Later Saturday, Xi will meet with Iran’s top leader, Ayatollah Ali Khamenei. China was a top consumer of Iranian oil even during the three years of international sanctions that targeted Iran’s nuclear program. Now that the sanctions are lifted and Iran is ramping up oil production, that relationship could grow further. China played a key role in international efforts to roll back sanctions against Iran in exchange for Tehran scaling back its nuclear program. Ahead of the visit, the U.S. said it hopes Beijing continues to work with Washington to ensure Iran does not reconstitute its nuclear capabilities. "We’re certainly not trying to stop [China’s] economic or diplomatic engagement with Iran. We would just hope that, just as China has played a very constructive role throughout this process, that China will continue to play that role in all of its engagement with the Iranian Government,” says U.S. Ambassador Stephan Mull, Lead Coordinator for Iran Nuclear Implementation at the State Department. The U.S. and China are co-chairing a working group to oversee the new design of Iran’s heavy-water reactor at Arak so that it will not produce weapons-grade plutonium. “We expect strong cooperation to continue as we all work together to ensure Iran’s continued compliance with the [nuclear agreement],” said Anna Richey-Allen, a spokesperson from State Department’s East Asia and Pacific Bureau, on Friday. 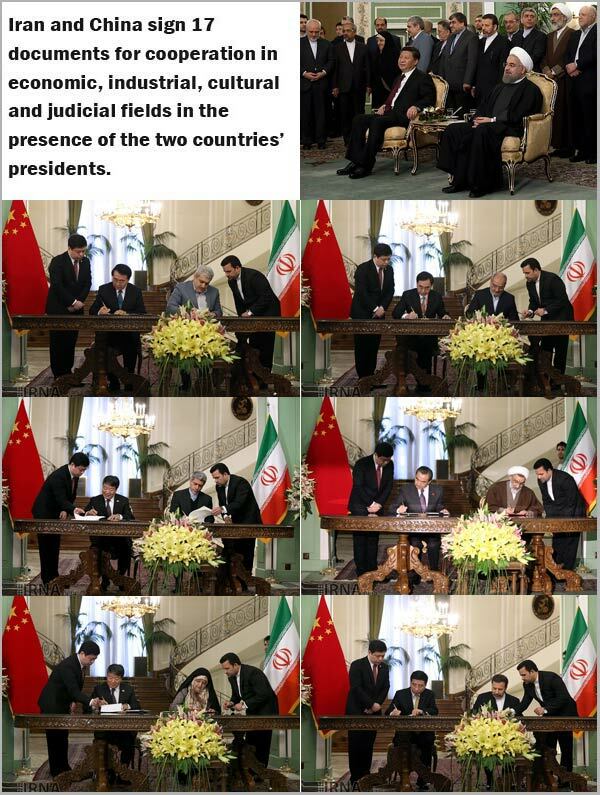 China is among the world powers that reached the agreement, the so-called Joint Comprehensive Plan of Action (JCPOA), with Iran last July. In that nuclear pact, Tehran pledged to scale back its uranium-enriching activities and submit to inspection, in exchange for lifting sanctions. 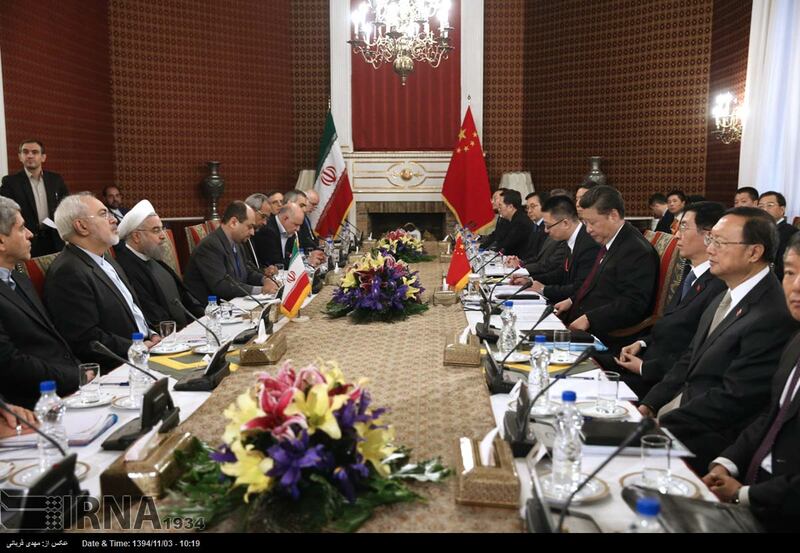 China has been Iran’s biggest trading partner in the past six years, according to Xi. Bilateral trade in 2014 was around $52 billion, but dropped off last year because of falling oil prices, according to Iranian officials. Chinese President Xi’s visit to Iran came after a stop in Saudi Arabia earlier in the week during that country's heightened tensions with Iran.